Minimalist and sleek, the vertical elite desk clock is the perfect way to honour a retirement or for presentation as an executive gift. 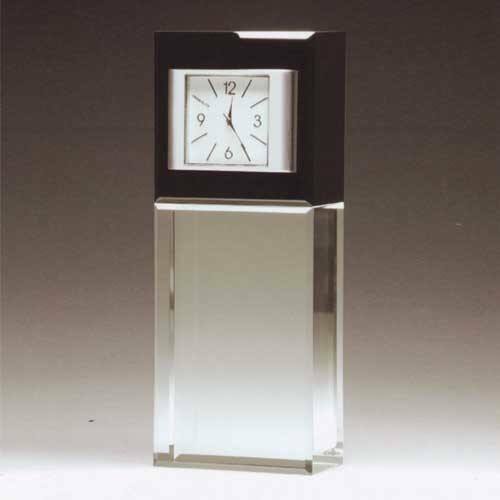 Made from the optically clear crystal, the clock is memorable and thoughtful. Price includes artwork and engraving costs. Delivery is charged by weight, please contact us for our delivery charges. Prices are subject to vat at current rate.